Description: Sunderland Marine, one of the world’s leading insurers to the fishing industry, has published a new safety guide aimed primarily at young people joining fishing vessels for the first time. 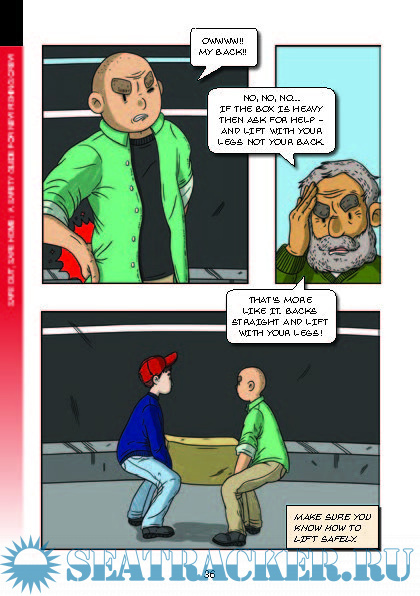 Called Safe Out, Safe Home: A Safety Guide for New Fishing Crew, the new graphic-novel-style guide is designed to give them a quick introduction to the safety training and familiarisation they should receive on board – as well as to prompt skippers to provide this. 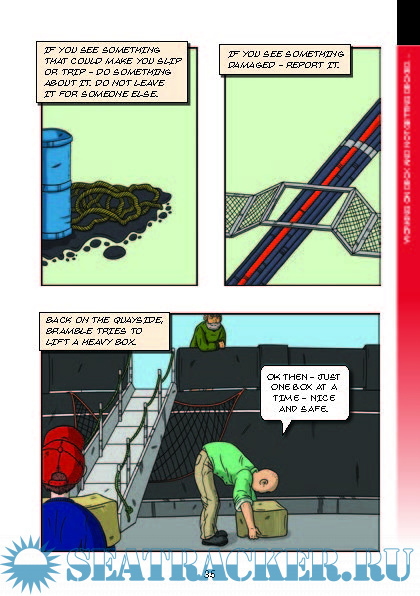 Safe Out, Safe Home is therefore designed to work on two levels. For new joiners, it aims to introduce the hazards on a fishing vessel and the safety questions they need to ask the skipper and other crew members. For skippers and ‘old hands’ it aims to serve as a reminder that new joiners need to receive proper safety training and familiarisation as soon as they come on board. Starring new joiner Pike and old hands Shackleton and Bramble, the guide takes the reader through the basic familiarisation procedures that should take place on every fishing boat, including safety clothing and equipment and how to respond in an emergency. It also highlights the importance of staying safe when working in different parts of the boat – such as on deck, in machinery rooms and in the freezer holds. ‘Our claims review found that most injuries were caused by slips, trips and falls, followed by being struck by or entangled with machinery or equipment. 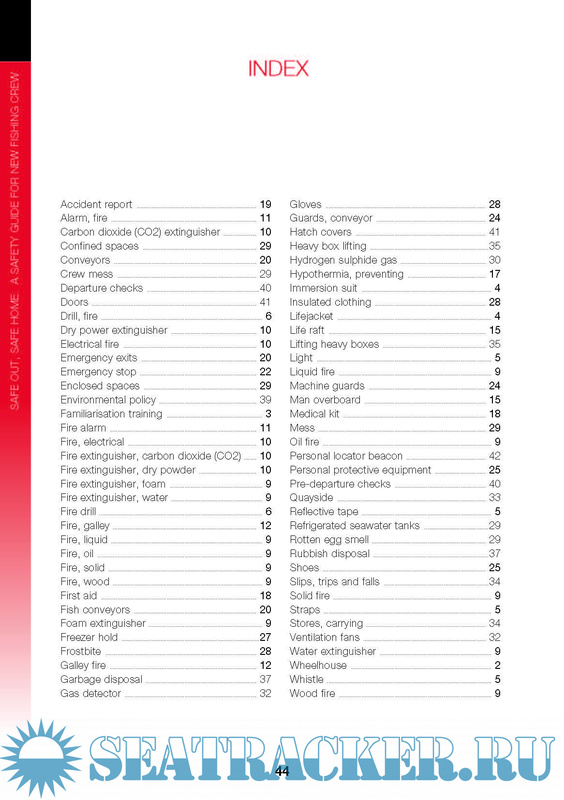 Other prominent types of accident ranged from exposure to dangerous atmospheres to incorrect manual lifting and severe burns from fire or explosion. The guide raises awareness of these risks and we hope to reach as many fishers as possible by not being specific to any particular fishing areas or vessel type,’ says Forster. 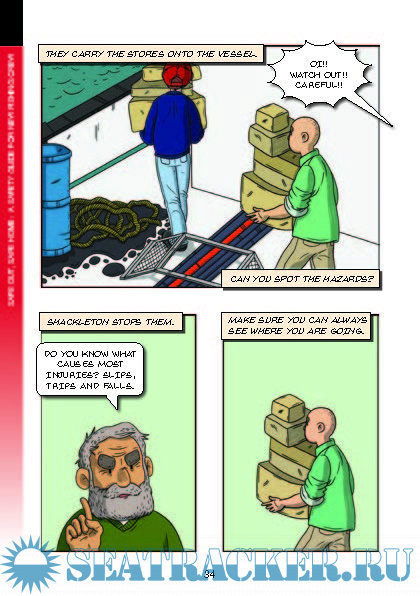 Safe Out, Safe Home is the latest in a series of fishing safety publications from North Group aimed at promoting safe working practices in safe working environments on safe vessels.